Manufacturer of a wide range of products which include pipe beveling machine, portable pipe beveling machine, bbm 4500 pipe beveling machine, bbm 3000 pipe beveling machine and bbm 8000 pipe beveling machine. We offer a wide range of Pipe Beveling Machines which is slide into the open end of the pipe. A draw nut is tightened which expands the mandrel blocks up a ramp and against the I.D. surface for positive mounting, self-centered and square to the bore. As the tools bit is fed into the material from the end, a bevel is produced which conforms to the angle predetermined by the angle ground into the bit. Bits are available for practically and material or beveling angle required, and bits can be custom made for any form tooling operation. 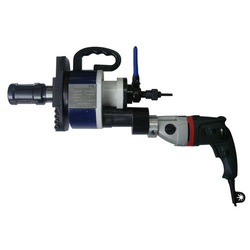 We are instrumental in offering a wide array of Portable Pipe Beveling Machine to our esteemed patrons. These machines are engineered using high-grade raw materials that are sourced from the most reliable vendors of the market. These products are made in compliance with the quality parameters of the industry. Furthermore, to meet divergent demands of the clients, we make these machines available in different sizes and specifications. We offer a wide range of BBM 4500 Pipe Beveling Machine which is slide into the open end of the pipe. A draw nut is tightened which expands the mandrel blocks up a ramp and against the I.D. surface for positive mounting, self-centered and square to the bore. As the tools bit is fed into the material from the end, a bevel is produced which conforms to the angle predetermined by the angle ground into the bit. Bits are available for practically and material or beveling angle required, and bits can be custom made for any form tooling operation. 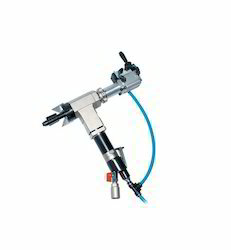 The BBM-3000 is a very popular pipe beveling machine. It is the versatile and powerful machine. Quick interchangeability of locking jaws to suit a wide range of diameters. 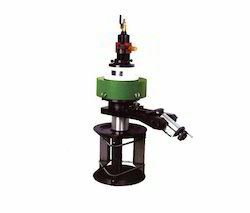 This pipe beveling machine is used for pipe beveling, tube facing or tube beveling operation.